Not one of those several hundred thousand people who snapped up tickets to the Provo City Center Temple Open House in the first 24 hours? There is still a way to see it. If you live around Provo, there is a new standby wait time clock and website. It goes live tomorrow morning (January 24). But if you are going to be up early to look at a website so you can decide if you should go to the temple open house, you might as well just get ready and go. Rumor has it that you can show up about 7 a.m. on almost any week day morning, and you have about a 99.9% chance of getting in. Sure, that might all change now that I’ve posted the secret. I mean, my extremely rare posts are ever so popular. Thousands of people might read this, jump in their cars at 6:30 a.m. and slam the standby line into oblivion. So, I say you should try it. Then let me know if the rumor was true. But please not before 8 a.m. Because I’m barely getting to bed. 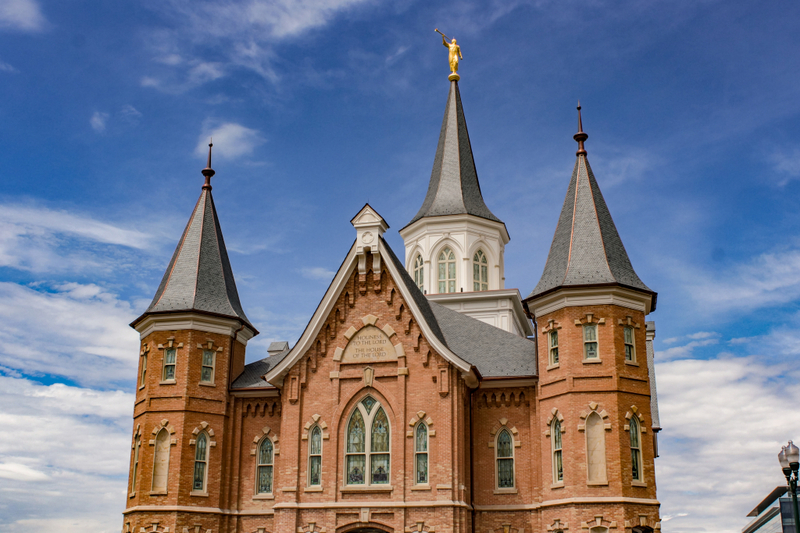 Happily, I spent most of the day in the Provo City Center Temple, and it was beautiful (both the day & the temple). Thanks for posting about the standby site. I also have four tickets I no longer need and will give them to whomever will use them. My wife and I showed up about 9:00 p.m. last Friday night, without a ticket, and were able to walk right in. We did not get to see the movie that apparently they show, but we were walking into the temple door within 5 minutes after our arrival – no formalities – just walk right in! Just say you are a visitor and unfamiliar with temples. Wear a polo shirt.